Alec Tramlife has been providing quality sound design and music programing around the U.S. for more than 10 years. Based out of San Diego he studied music at an S.C.P.A. High School and San Diego State University. Growing up by the beach helped create his eclectic style of blending multiple music genres and party rocking techniques. 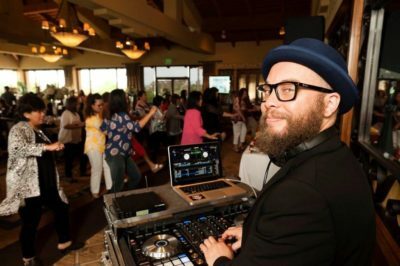 You will find Alec “Tramlife” performing at events such as San Diego Rock ’n’ Roll Marathon, San Diego Comic Con, 250+ weddings around Southern California and Tahoe, 300+ Corporate events including Qualcomm and Victoria Secret. Tramlife has 4 national and 1 international music tours under his belt. Tramlife has proven he is a professional Dj with knowledge of running sound and lighting. There is no event too big or too small for this experienced sound designer.